Hazel Smith Williams, age 94, passed away Wednesday, August 1, 2018, at Sunnyview Care Center in Ankeny. 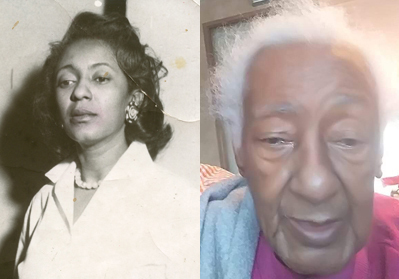 Hazel was born June 8, 1924, in Montgomery, Alabama. She was a wonderful cook and enjoyed recipes from New Orleans. She will be especially remembered for her delicious gumbo. Most important to Hazel was her family and she treasured time with her children and grandchildren. Hazel is survived by her sons, Mike Williams (wife, Joyce) and Don Williams, and six grandchildren. According to Hazel’s wishes, there will be no public services held. In lieu of flowers, memorial donations may be directed to her family. Condolences may be expressed at www.HamiltonsFuneralHome.com.